Laying Down The Foundations: PLG - HTML and being in the Learning Pit! PLG - HTML and being in the Learning Pit! Last week the MDTA cohort got stuck into developing our Google Site for Current Events around the world. This was the task which Caleb came to speak to us about a few weeks back, which the aim to develop both our own critical thinking skills along with those of our learners. I chose to concentrate on creating a page for my higher level readers where they could develop their own skills in thinking based on the Christchurch Earthquake and more particularly, the debate about whether or not to close Redcliffs School. I felt that my learners would be able to connect with this as they would be able to empathise with other learners facing challenges and thought that by scaffolding the lessons and using a multi-modal approach, the concept would be achievable. With that in mind, today was an intense day and I found myself in the learning pit! 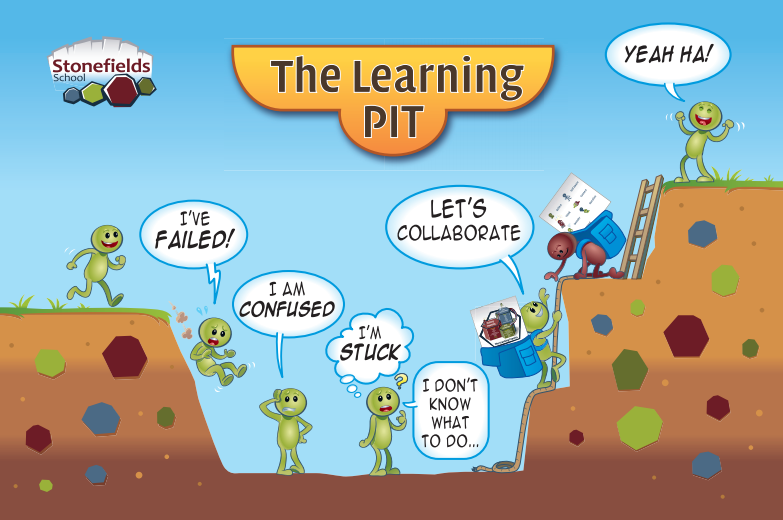 The Learning Pit is a metaphor we use at school to help learners feel comfortable with being uncomfortable when faced with challenges. It is an incredible feeling to celebrate when we are being challenged and how we can use both collaboration and the learner qualities to help us achieve our goals. With this project, I was in the pit for the majority of time while creating the page. At first I began to feel frustrated with the project, but with the end goal in sight, I was determined to keep going. My cohort are amazing and very patient individuals and I am very lucky to be in a team where collaboration is natural and becoming second-nature. By being self-aware of my learning style, I was able to ask for help and had some great discussions with the others to find out answers to some of my problems. 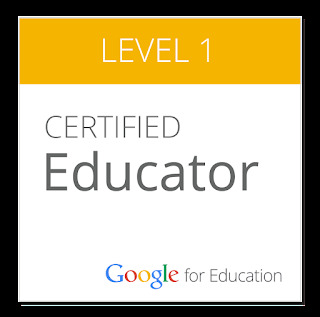 I thought a lot about how I wanted the site to look and was able to make connections with previous sessions where we had been taught some amazing skills in how to design a Google Site. I had to leave early to fly home, but found myself reflecting on the work I had done so far and wondered what else I could do to make sure that I would be able to complete this by the end of the week. 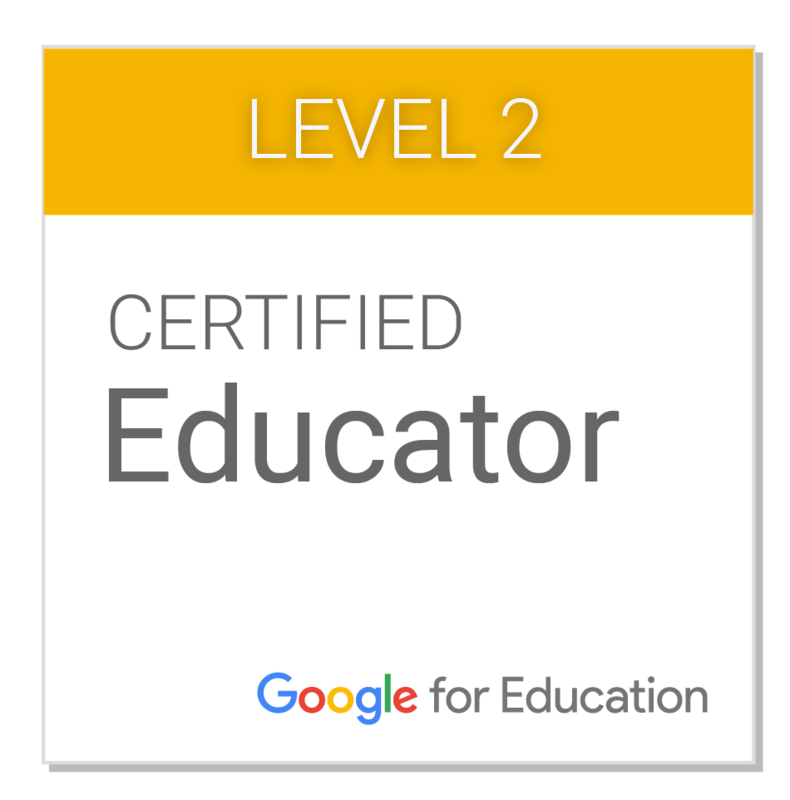 While I have spent a lot of time with this, I know that I can do a lot more in this space and am now inspired to take risks and try more with Google Sites. Please check out our site as I think everyone has done an amazing job! Each cohort member has created a separate page with a different context and focus to develop a series of lessons to help build learners confidence in aspects such as literacy, critical thinking and Social Studies. This is such an awesome reflective post Heath. I love realists! It is so great to see you using the same concept/metaphor you use with you students because it demonstrates it is not only for younger students to analyse where we are in our learning and where we want to be. Also, I think the link to the students is great, this is what I'm lacking in my site. Your students will be able to put themselves in the shoes of the Redcliff students easily. Looking forward to seeing what you create next! 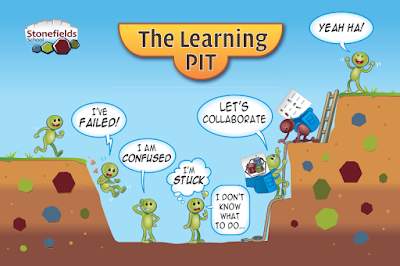 Thanks Georgia, it was really insightful being able to experience being in the Learning Pit as it helps me empathise with the kids when they're being challenged!